I don't bottle in a lot of things and I feel like my family was a little upset about that, but I got through it and now I almost I like it a lot better, honestly. I like [Caitlyn] better than Bruce. Before you critique her for comparing the two, she went on to say that not only can they bond over makeup, but there's no longer a "huge secret in the family." That last part isn't superficial at all. 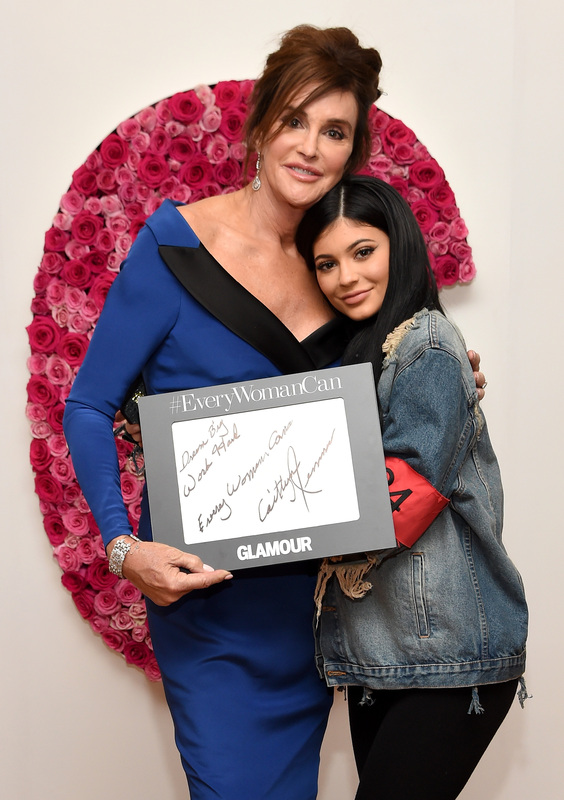 In fact, she's inspired by Caitlyn being her "true authentic self." The teen says, "I think that's so awesome and I think that other girls and boys my age will maybe see that I'm so accepting and be accepting of other people, too." Yes! This statement is so important. There's nothing better than embracing your true self and accepting others for who they are. As someone who has more than 43 million followers on Instagram and 12.6 million on Twitter, Kylie Jenner has a humongous platform. That's why, whether you like it or not, what she says does matter. It's great to see her spreading such a positive message of acceptance, especially since she hopes it influences her fans to become more openminded as well. Now that shows some serious self-awareness. I've been bullied my whole life, whether it was about my peers or comments on Instagram or Twitter, whatever. And I never talked about my story really, I feel like I've kind of accepted it because I realized that just comes with the territory. So I kind of was online and just finding other girls and boys my age who have been bullied and have kind of overcome it and just done something amazing with it who inspire me, so I kind of wanted them to just use my platform and post their stories on Instagram to hopefully inspire my followers too because they inspire me so much. Despite what haters may say, Jenner's words are important. Props to her for promoting worthwhile messages of positivity and acceptance!